"I thought it would never happen to me," said Judge Raymond Voet, who is the chief judge in Ionia County, Michigan. He was referring to the fact that his cellphone made noise in court on April 13 during a trial. Like many judges, Voet hates it when cellphones ring in his courtroom, and he hates it enough that he has had signs posted outside saying that violators will be fined $25 if it happens. Unlike some judges, perhaps, Voet was willing to impose the fine on himself when he violated his own rule. The judge said he had recently switched from the Blackberry model he has had for years to a Windows phone with a touchscreen, and believes the phone wasn't locked when he came to the bench with the phone in his shirt pocket. Worse, this particular phone apparently comes with voice activation, which was news to the judge. He said something to trigger it, and the phone spoke up. "I can't understand you," it said. "Say something like 'mom.'" 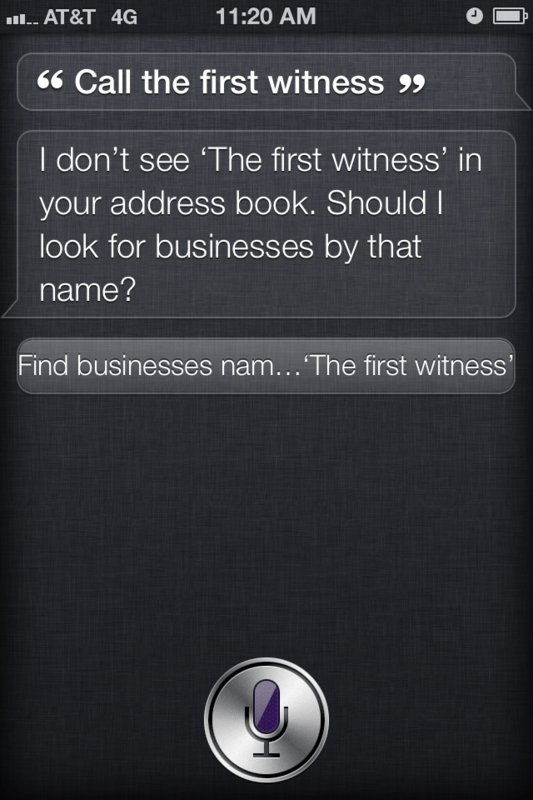 Say what you want about Siri, but at least she shows a little more respect. The judge admitted it was embarrassing to be in violation of his own rule, but to his credit he did not hold himself above the law. He held himself in contempt, fined himself $25, and walked downstairs to pay the fine. "Judges are humans," he said. "They're not above the rules. I broke the rule and I have to live by it." That is an honorable position that some would say not every judge in history has taken, not that I'm singling out anyone in particular.